An oriental vanilla woody, voluptuous and addictive. With the zesty burst of Mandarin, Jasmine Petals shake elegantly and release a sheer and ethereal floral charm. 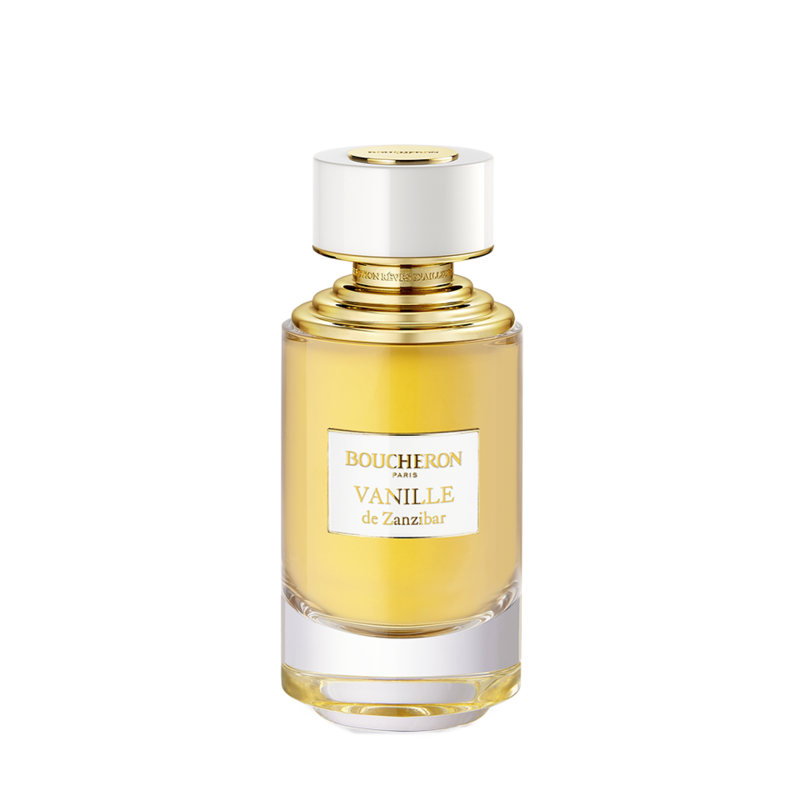 Gentle luminosity with a hint of juicy Pear brings modernity and colour to the top notes. Unsettling and fascinating, the middle notes surrender to the richness of Bourbon Vanilla. The Oriental sensuality of its black pods is combined with the amber and coppery character of Balsam of Peru to enhance its natural power. The creamy floral tones of Heliotrope soften this addictive duo. The generous trail of White Musks passionately envelops this exotic beauty with an irresistible powdery veil. A carnal intensity, tactile and irrepressible, is supported from below by the woods. Smooth Sandalwood and warm Patchouli wrap up the fragrance with charisma.